Here we are at the end of 2015, and it’s time to highlight the year’s most popular projects! I’ll be breaking this post down into several categories. Although it was #1 for 2015 (new content) it was #3 in overall clicks for the year. 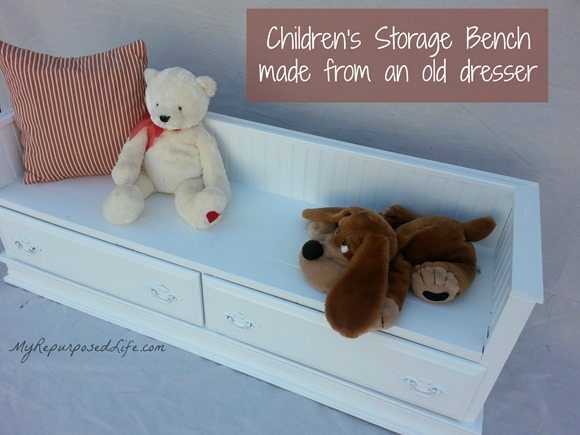 This project continues to be the MOST popular on My Repurposed Life and on Pinterest. I hope you have seen something to put on your to-do list! This was a fun post to put together, and it’s so interesting to see that people are still enjoying my older projects, proof that repurposing is timeless! I look forward to many new projects in 2016! I’m sharing over at Southern Hospitality’s annual party-so much inspiration all in one place. Amazing projects Gail! You inspire me every time I visit! You’re a genius!!! Have a Very Merry Christmas!!! Loved seeing them all here… I was also surprised that some of them were in 2015… where did this year go?! I guess for you it flies when you’re having fun… CRE-ATING something from nothing. Hope you have a great holiday season and an AMAZing new year! Gail I love how you can take something that most people would walk by and turn it into something beautiful! I am trying to be more like you. Sometimes I find something and my husband looks at me like I am crazy but after I do what I want to it, he is a believer. Thank you for all your inspiration. Have a Merry Christmas and a Healthy New Year and thank you for all of your ideas. What an incredible variety of projects from an incredible blog! It was fun looking back, Gail. Best wishes for another great year ahead! What an impressive roundup of projects Gail! You have amazing skills and imagination. It takes real vision to get from before to after. I hope you take a break and enjoy some relaxing time over the holidays. I know 2016 will be a whirlwind. Wishing you all good things ahead! Thank you so much Sharon! I look forward to great projects and fun happenings around here in 2016! 2015 was such a great year! Love your roundup – I missed the Singer sewing machine one, fabulous project!! Merry Christmas Gail! All my best wishes for a very happy new year! Well a year end post makes me have to pick my own fav’s. I’m gonna go with the headboards turned into shelves. No wait, that chest made from the desk was amazing. 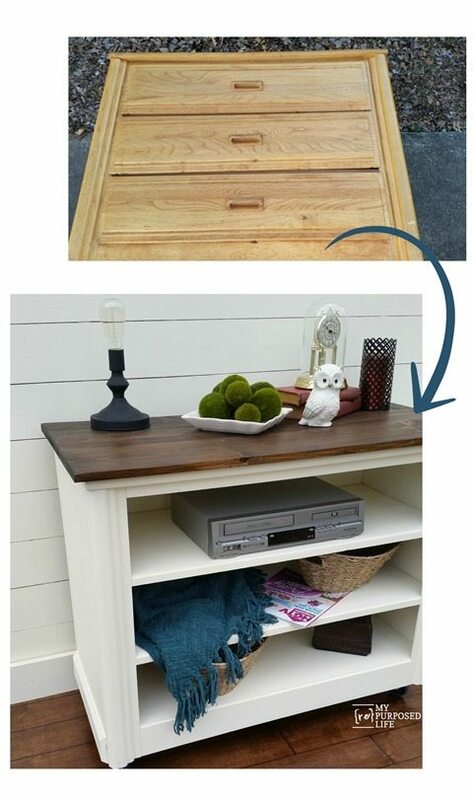 Or, I’m changing my mind, the storage bench made from a dresser, yeah I pick that one. But I also gotta say Mindi’s dog crate was over the top clever, so yeah, I’m picking the dog crate too.